CarGurus has 5,911 nationwide 911 listings starting at $9,988. Don’t believe the reviewers – the 911 is neither a fine wine nor cheese. It’s a car. And it’s a good car at that, but then it should be. Any manufacturer that’s had almost half a century to perfect a design should be producing near perfection. That oracle at Delphi was right – know thyself is great advice. Those add to the more than a dozen different 911s you can choose from, and that’s before getting into forced induction. It’s confusing, and the trim total for 2011 is up to 19, so get your pens and your aspirin ready. Starting at the bottom, the 911 trim lineup consists of RWD Carrera, Carrera S and Carrera GTS, as well as AWD Carrera 4 and 4S. All Carrera trims are available in coupe and cabriolet configurations with 3.6- and 3.8-liter flat-6 engines. Turbo and Turbo S trims come expectedly with a turbocharged version of the 3.8-liter lump and are likewise available as a coupe or cabriolet, but only come in AWD to handle the extra power. The remaining trims, including the AWD Targa 4 and 4S, GT3, GT3 RS and GT2 RS are available solely as coupes. Getting that confusion out of the way, let’s talk about engines. The entry-level piston puncher is a 345-hp, 3.6-liter mill that will rocket the Carrera to 60 mph in just 4.7 seconds with the 6-speed manual, or 4.5 seconds with the 7-speed PDK automated manual. The PDK is a dual-clutch unit that is about .2 seconds faster than any human and good for a similar reduction regardless of setup. Tack an “S” on the end of your Carrera and you’ll get a 385-hp, 3.8-liter engine that’s good for another .2 seconds off the jaunt to 60 in both manual and PDK setups, while the GTS gets a 408-hp version of the same engine and can manage the leap in just 4.2 seconds. Truly, even the porkiest Porsche – an AWD Targa – will manage the feat in less than 5 seconds, but the Turbo variants are where the real fury erupts with turbocharged versions of the 3.8 in 500- and 530-hp form. GT3 and GT3 RS trims are stripped-down, racetrack-ready coupes with naturally aspirated 3.8-liter engines of 435 and 450 hp, but the king of the coupe hill is the GT2 RS with its turbocharged, 620-hp, 3.6-liter engine. Gone are the days when the 911 was affectionately referred to as a widowmaker – excepting the still-insane GT2 RS – as corners are handled with as much panache as straightaways. This is even more true in the AWD versions, which have road-holding capabilities that make the 911 feel like a midengine racer rather than the rear-engine’d nightmare it once was. With standard features like automatic wipers, cruise and climate controls, leather upholstery, power seats, Bluetooth and bi-xenon headlights, it’s no stripped-down racer, either – unless you opt for one of the GT3/2 trims, that is. Nearly any option can be ordered, including adaptive suspension and carbon-ceramic brakes, but as the standard setup will throw you around the skidpad at nearly 1g and will bring the whole business to a halt in around 100 feet, one must question the necessity of such options. No, the 911 isn’t a wine and it isn’t cheese, it’s like a painting by an artist who simply can’t let go, constantly returning for another round of revision. The fact that each revision does make the 911 better is one of many saving graces. The fact that it drives as well as it does is the best of them all. What's your take on the 2011 Porsche 911? 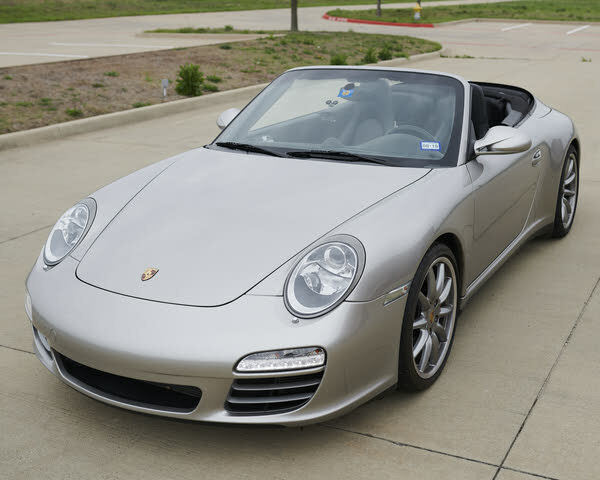 Have you driven a 2011 Porsche 911? How Many 2011 Porsche 911 Carrera 4S Were Made. 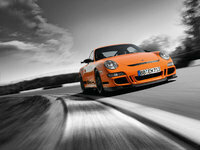 WANTED: 2011 PORSCHE 911 GT3 RS 4.0 PREFERABLY WITHOUT THE RED SEAT INSERTS, HEADLINER ETC. WOULD LIKE THE LEAST AMOUNT OF OPTIONS BUT WILL LISTEN TO ANY! THANKS!